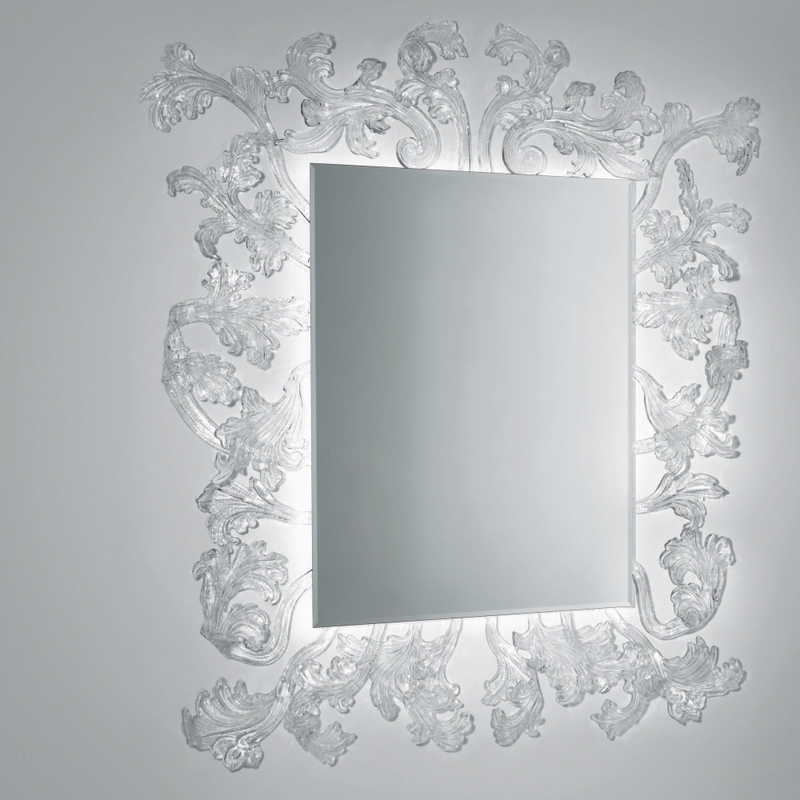 A truly magnificent mirror with Murano glass frame, created using a complex hand-made production process, making each piece unique and unrepeatable. The frame is comprised of separate elements which are fixed to a wall hanging structure finished by the application of a 5mm thick chamfered mirror. Also available with a Led lighting system, which enhances and celebrates the beautiful frame.